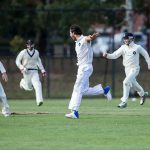 Facing ladder-leaders Dandenong at the Uni Main, the First XI were looking for a big scalp on Saturday. Winning the toss and electing to bowl on a wicket that had been covered for most of the week, the decision seemed like the right one, with Mark Stafford taking a nice return catch for the first wicket. Wes Agar soon followed suit, with the score at 2/11. 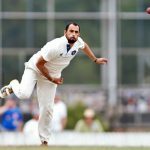 All bowlers continued to apply the pressure throughout the middle overs, James Bett (1/27) and Steven Reid (1/26) bowling beautifully, preventing Dandenong from gathering any momentum. Ben Rolfs also claimed a wicket, thanks to a perfectly horizontal James McNeil, whose outstretched right hand managed to pluck a most incredible diving catch. 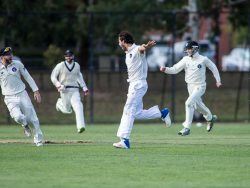 Liam Scammell (3/27) used his variations of pace to excellent effect ensuring Uni would take the momentum into their batting innings, as the Panthers finished with 8/178 from their 50 overs. A steady opening partnership of 49 saw MUCC right on the front foot. Some classy stroke play from James Bett (53) and Daniel Hutton (26) had the score at 2/94, when the skipper sent in Wes Agar to push for a bonus point. Some characteristically big hitting saw Wes race to 26, along with Tom Rogers, whose powerful and composed innings of 21 was brought to an end by a deflected run out off the bowler’s shoe. 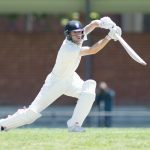 With the bonus point out of reach, Liam Scammell (18) managed to guide the ship home, as Melbourne Uni passed the score with 4 overs to go. An important win in the scheme of the season, it places MUCC ahead of the ledger again at 3-2, with a trip down the highway for an important next fixture against Geelong. Confident after a big win the previous week, the 4th XI were hoping to get some more points on the table after a less than impressive start to the 2017/18 season. Opting to bowl first on a soft wicket with overcast conditions, the decision quickly proved to be the right one, having Dandenong on the ropes with 2 early wickets. Jeremy Swan and Frank Coxon opened up the bowling applying great pressure from both ends, Coxon bowling tight strings and Swanny on the attack. It was on the back of this opening spell that put the following bowlers in good stead to continue the ongoing pressure. 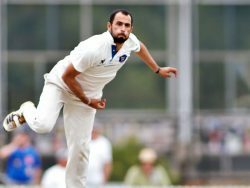 Having been called up from the 5th XI, Prav continued his success with the ball, bowling consistent line and length to be rewarded with his first premier wicket of the season. 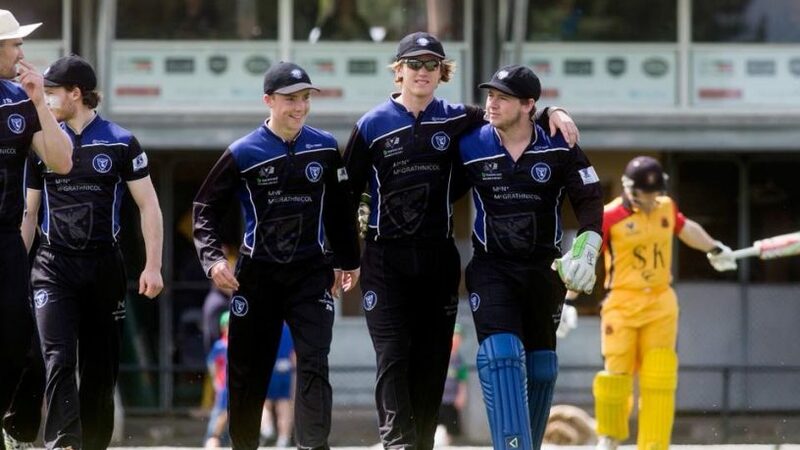 After a great performance with the ball being backed up with energetic and claustrophobic fielding, we were able to restrict Dandenong to a below-par 10/156. Following the continued opening pair of Zanoni and Elijah, we were off to a shaky start, losing both openers in the first few overs. Losing wickets regularly, our confident chase of 158 was slowly slipping away from us. With a few flash cameos from our middle order, it was Caleb Barrass at number 3 who was the backbone of our batting innings. With no consistent partnerships at the crease, Barrass was able to take control of the team’s innings and put on his top score for MUCC. With ever over that came and went, the run rate was slowly creeping up as a result of wickets falling. When number 11 Frank Coxon came to the crease with 4 overs left to chase the reaming 40-odd runs, it was going to be an uphill battle. Constantly rotating the strike and getting over the loose ball, it put the equation to 8 off the last over for victory. Pushing around the singles we were gifted with a wide which left us needing one run off the last ball. Dandenong were all up inside the circle to stop the most valuable single of our season thus far. Delivering a wide half volley, Barrass was able to punch it through extra cover, both arms in the air as the ball races towards the boundary much like Mr Cricket on his return to form century. Finishing on 84no Barrass really showed a lot of maturity in his innings, and a good glimpse into what else could come from him for the rest of the season.